The ‘office of profit’ controversy is back. This time, 21 MLAs of the Aam Aadmi Party (AAP) in Delhi are under threat of losing their membership of the State Assembly. These legislators were appointed Parliamentary Secretaries under various ministers. The President of India has returned the Bill, which was passed to save their membership, and now, the Election Commission has asked them to present their case to it as the President can cancel their membership only on its advice. Jaya Bhachan in 2006 lost her membership of the Rajya Sabha on similar grounds. Sonia Gandhi too had to resign and seek re-election from Rai Bareilly for occupying the position of Chairperson of the National Advisory Council under UPA-I. Why disqualify for occupying an ‘office of profit’? What does this expression really mean? How have courts interpreted it? What is the future of these AAP legislators? — these are some pertinent questions which need to be answered. The ‘office of profit’ disqualification was originally provided in England by the Act of Settlement, 1701 and incorporated in Articles 102 and 191 of the Indian Constitution to ensure independence of legislators from the government. Ministers are exempted under the explanation and any office can be exempted by the Parliament/Legislative Assembly. Parliament enacted the Parliament (Prevention of Disqualification) Act in 1959 which has been amended a number of times to include large offices which have been exempted from the purview of ‘office of profit’ disqualification in spite of salary and other perks. Hundreds of posts under government of India and state governments over the years have been exempted, such as leader of opposition, chief whip, chairman of the Planning Commission, minorities’ commission and women’s commission. In 2006, as many as 55 new categories of offices were exempted such as Dalit Sena, Maulana Azad Education Foundation, Dr Ambedkar Foundation, Waqf Boards, Temple Trusts, several other corporations, commissions and boards. In 2013, SC and ST Commissions were similarly exempted. The disqualification due to ‘office of profit’ in a parliamentary democracy like ours looks flawed as all ministers and MPs of the majority party constitute the treasury benches. Conceptually speaking, Parliament must control the government but as a matter of fact, it is not Parliament but the government which controls Parliament. By disqualifying legislators for occupying ‘office of profit’, independence of Parliamentarians cannot be ensured. In fact, legislators can never be independent of government. Nor can government be completely free from legislators of its own party. In, fact office like parliamentary secretary, chairmanship of boards and committees and similar other offices are given to them to keep them contented as due to the 15 per cent cap on the appointment of ministers, if the government does not rehabilitate them like this, they would defect to other parties and try to bring down the government where it enjoys razor thin majority. The expression ‘office of profit’ has three elements i.e, there should be an office; it should be under the government; and it should be the one from which its holder derives profit. Now, the million dollar question is what is ‘profit’? The Supreme Court in the Agadi Sangama case, observed that “profit means pecuniary gain other than as compensation to defray his out of pocket expenses which may have the possibility to bring that person under the influence of the executive which is conferring that benefit on him.” In the Sibhu Soren case, the court clarified that irrespective of nomenclature, if some pecuniary gain is there, it is ‘profit’. Thus, the mere use of expression honorarium could not save the membership. Similarly in the Jaya Bhachan case, it was held that it is of no significance that the person received or not received the payment. If some payment was payable, it is enough to attract disqualification under the ‘office of profit’ provision. On the other hand if someone as Chairman of Kerala Haj Committee simply received travelling allowance and daily allowance, he would not attract disqualification as these allowances are merely compensatory and not pecuniary. But Arvind Kjeriwal, out of abundant caution, got this amendment passed and invited this problem. He thought since the BJP-ruled Gujarat, Haryana and Rajasthan too had parliamentary secretaries, no one would question him. In fact, in Punjab, they are paid `one lakh per month in addition to other perks. President Kalam had initially returned the 2006 Bill as he was unhappy with the inclusion of so many offices in the exempted list and since it was done without defining the expression ‘office of profit’. He subsequently signed the bill on the assurance that a joint parliamentary committee would soon work out a comprehensive definition. It is high time either to expand the definition to include ‘power and influence’ or remove the provision as it has failed to achieve legislative independence. 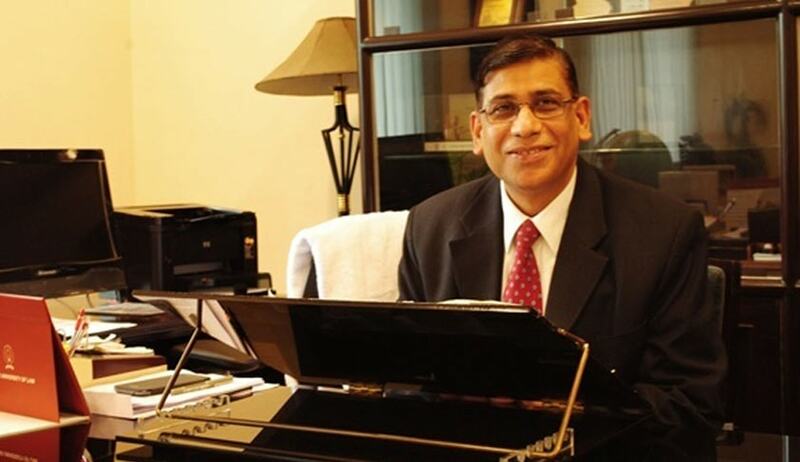 Faizan Mustafa is Vice-Chancellor, NALSAR University of Law. Views are personal of the author and does not reflect LiveLaw’s views.